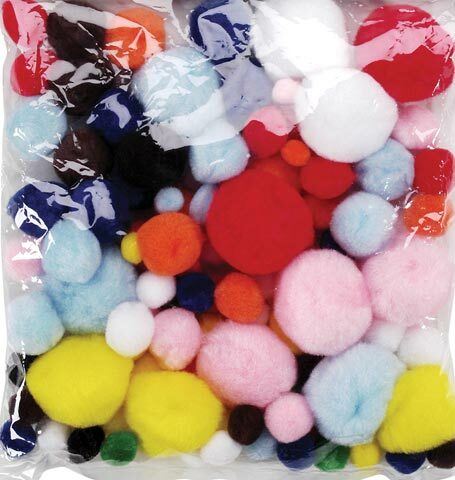 These soft, fluffy balls of fluff are great for kid's crafts, costumes, holiday creations and ornaments. Try gluing them together to make toys, or use for noses and eyes on stuffed animals. They can be made into bookmarks, cards or pictures.